Students at Concordia University Wisconsin have mixed opinions about the addition of the Starbucks café menu in two of the school’s dining options. Some students are excited about having their favorite Starbucks products available right on campus. 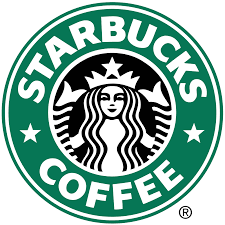 Freshman Rebekah Moran believes that Starbucks is a wonderful asset to the campus dining options. “I think it was a great idea. I get Starbucks on campus at least once a day, ” Moran said. Many students have this perspective but others have the opposite opinion. Students mentioned how meal swipe options are not as great as they were last year. Meal swipe options for the Starbucks menu offered only specific times throughout the day. Students are allowed to get any grande size drink, fruit, and a bakery item for a meal swipe from 9-11a.m. The drinks’ regular price at other times are higher at Concordia than at a Starbucks location off campus. Junior Courtney Richards does not mind that the University offers Starbucks products, but she wishes that other products stayed on the menu. “I don’t think that Starbucks is bad, I just wish that they still had the smoothies that were offered before because we could get them at anytime of the day for a meal swipe,” Richards said. Students, like Richards, have put suggestion comments into Sodexo comment boxes asking for the meal swipe options throughout the day and to possibly bring back some of the old smoothies to boost their opinion of the Starbucks addition.